Whether you’re good at remembering to recycle or not, chances are that you’ve noticed the massive amount of plastic bottles you accumulate on a regular basis. 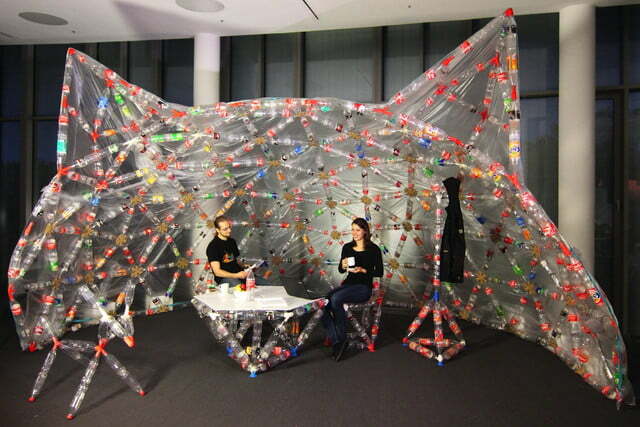 A cutting-edge, eco-friendly research project being carried out at Germany’s Hasso Plattner Institute aims to put those bottles to good use — by using them as building blocks for everything from chairs to a rowboat to an impressively large plastic dome structure. With that in mind, the team developed software called TrussFab. 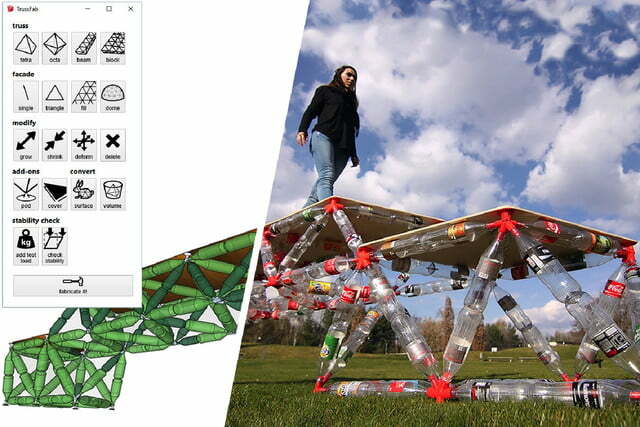 TrussFab is an integrated end-to-end system that allows users to design their object of choice, and then works out the correct distribution of plastic bottles to create a structurally sound end product. 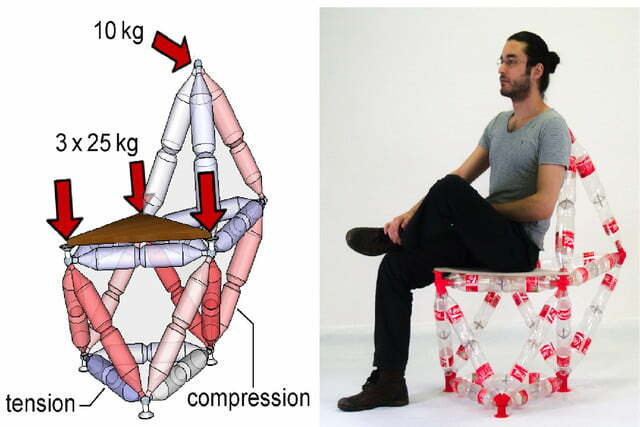 As it turns out, while plastic bottles are thought of as being pretty flimsy, they’re actually extremely strong when pushed or pulled along their main axis. 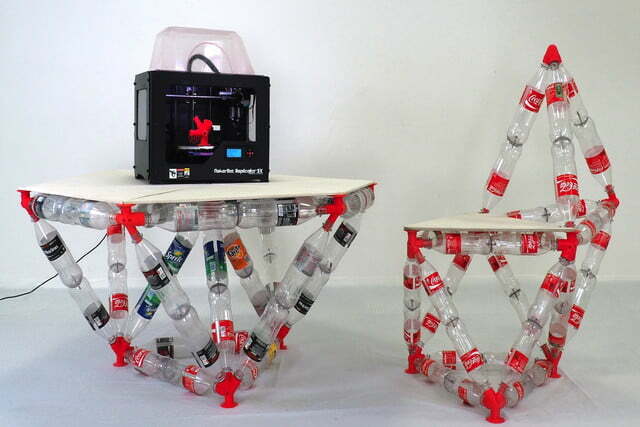 Using 3D printing, TrussFab lets makers print the connecting pieces between the bottles to link them together in a honeycomb-type formation. 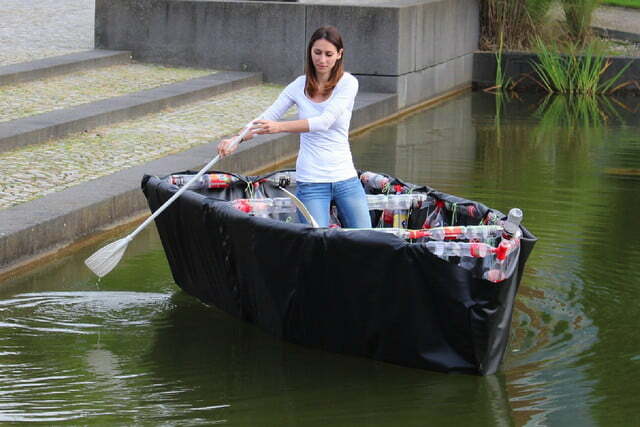 So far, the team has used TrussFab to build an 8-foot bridge strong enough to carry a human, a table and chair set, a functional boat that seats two, and a 16.5-feet dome consisting of 512 bottles. The team next plans to make TrussFab freely available over the next several weeks, which will no doubt result in a whole new wave of creations. Keep watching this space — and drink an extra bottle of Coke here and there to start building up your supplies!